The Town of Oyster Bay recognizes that there is a great conflict with geese overpopulation and their effect on the quality of life of our residents. 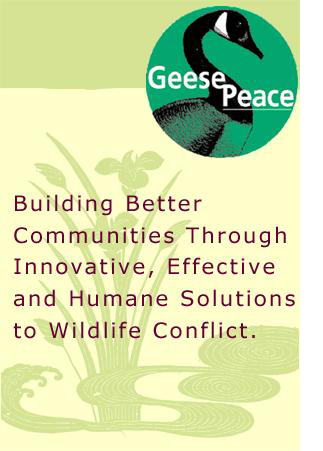 GeesePeace works to help control the rapidly increasing Canada Geese population in the area. Residents are encouraged to please contact the Town of Oyster Bay Environmental Resources at (516) 677-5807 if they have a problem with the geese on their property. The Town works closely with the National GeesePeace organization that is dedicated to resolving this wildlife conflict humanely, controlling this growing population in a sensitive and caring manner. 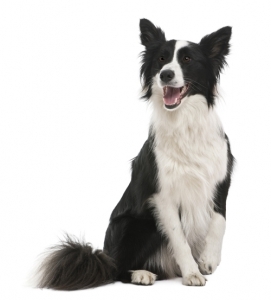 In fact, GeesePeace is the only effective program with the support of national animal protection and animal welfare organizations. Canada Geese are not only a nuisance to the public, they have become a threat to the local ecology. The first strategy of population stabilization is a process known as “egg-oiling.” Egg oiling is effective because it contributes to the longterm reduction in overall numbers of the birds and reduces adult loyalty to one site. GeesePeace personnel first test the eggs to see if they are developing embryos, in which case they return them to the nest. (They put the egg into a bucket of water. If it floats, that means it has an air sack and it contains a developing embryo.) The Town of Oyster Bay has oiled over 5,000 eggs. This translates to over 50,000 fewer geese over a period of 8 years. The Town of Oyster Bay has three teams working on its Geese Peace program. They each have a truck, a Border Collie, that has been trained not to harm the geese, but only harass them. The dogs only chase Canada geese. The concept is to harass the geese and make them go elsewhere where they will pose less of a nuisance. The dogs chase the geese at random times during the day on land and water. The geese are keeping off the school fields and the golf courses and that helps with the water quality issues. If they are not managed, resident Canada geese populations typically increase ten-fold every eight years. Our goal is to strike a sustainable balance between wildlife and the public. GeesePeace staff use a variety of methods to humanely encourage geese to return to their natural migration patterns. By working together to find the largest nest sites, communities will be able to reduce the population by thousands in the coming years. In addition to egg-oiling, the Town also has implemented nuisance abatement and public education programs to assist in the Canada Geese population reduction. Town residents and schools who have a problem with Canada Geese on their property can contact the Town of Oyster Bay Department of Environmental Resources at (516) 677-5807. An environmentalist will respond to address the concern. GeesePeace personnel go out every day of the year but the most important time for egg oiling is from May to June. The geese are chased by the Town’s Border Collies until June before the molting season begins and the birds cannot fly. The teams continue to work during July and August, not with actively chasing the geese but by actively assessing every site. They look for injured animals, check for more nesting places to monitor, and keep account of what is going on and where these geese are gravitating toward.